My friend has an art gallery where she hosts a different artist each month. She put out a call for people to meet a neighbor they don’t know and then make a piece of art about it. So I invited my neighbor over for dinner and we had takeout together. 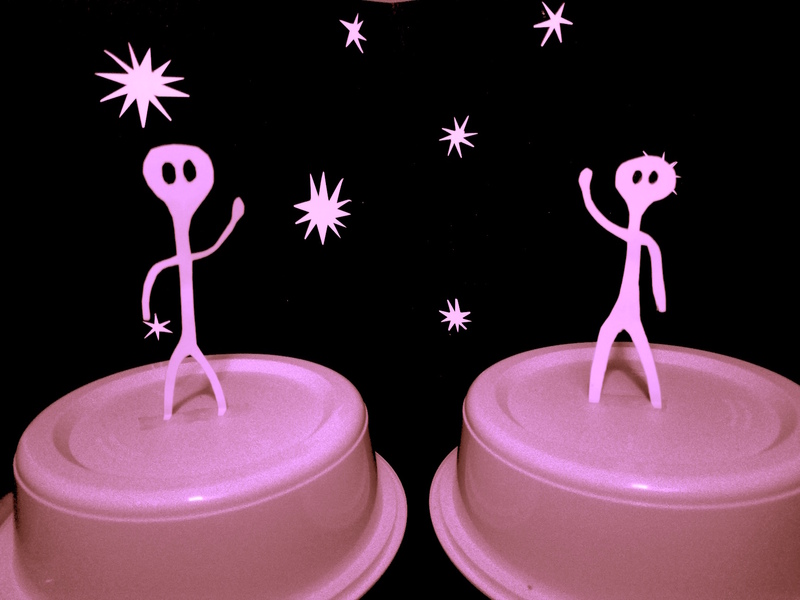 Then I turned our takeout containers into flying saucers, cut out some stars and aliens, and made this little scene. Food can be a vehicle for human connection. So I invited my neighbor over for dinner, and then I turned our takeout containers into flying saucers Our neighbors may seem alien to us, like they are unidentified friendly objects. But we can use food to explore each other’s worlds.